Эй, eveyone :) I just wanted to let Ты guys know about a new Nat King Cole fansite I've started, I'm hoping Ты all can check it out and leave feedback/comments and help out! The fansite, Nat King Cole Fans: www.natkingcolefans.com is pretty new, we're just launching it but well, еще than a fansite, I have a bigger plan. I want it to be a community where everyone can register and contribute to the community! On Friday night, March 12 (2010) at 6:30 p.m., Nat's Фаны will gather on New York's Upper West Side for a sing-in of his big hits. We provide the lyrics and stories and the piano, and Ты do the singing. Check out the site for info. This is a Nat King Cole fansite where Ты can become a member free and post news, pictures, Видео and all information that Ты want about Nat King Cole. 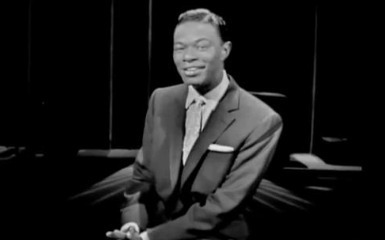 The Nat "King" Cole Show, premiered on NBC as a weekly musical variety Показать in November 1956. Cole became the first major black performer to host a network variety series but it was a bruising experience for him due to the state of race relations.